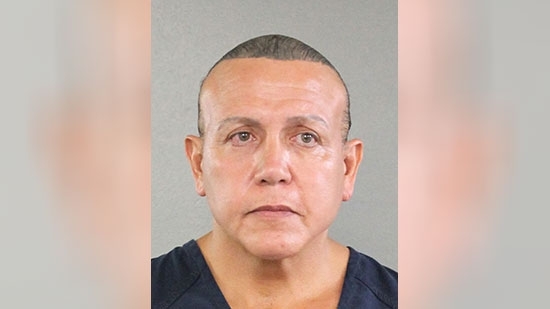 A Florida man has been arrested in connection with the mailing of suspicious packages containing suspected bombs to prominent members of the Democratic party over the past week. 56-year-old Cesar A. Sayoc on Aventura was taken into custody in Plantation, Florida on Friday, 10/26. No more details are available, a press conference is planned for later. Two more packages were discovered on Friday morning. One was addressed to New Jersey Senator Cory Booker. That was found in a postal facility in Opa-locka, Florida, where authorities believe several of the packages originated. It was addressed to Booker's Camden, NJ office. The Camden County police bomb squad swept the office building and did not find anything suspicious. The other package discovered today was addressed to former National Intelligence Director James Clapper at CNN's New York City office. It was discovered in a postal facility in Manhattan. This brings the total confirmed packages to 13. None of them have exploded and no one has been hurt. Others have been addressed to George Soros, the Obamas, the Clintons, former CIA Director John Brennan (CNN building), Rep. Maxine Waters (2), former Attorney General Eric Holder, former Vice President Joe Biden (2), Robert De Niro, and Sen. Kamala Harris. UPDATE: A suspicious package addressed to billionaire Tom Steyer has been removed from a post office in Burlingame, California.. 56-year-old Cesar Sayoc has a criminal history including theft, battery, steroids, and a bomb threat. He is being charged with 5 felony counts including Interstate Transportation of an Explosive, Illegal Mailing of Explosives, Threats Against Former Presidents and Certain Other Persons, Threatening Interstate Communication, Assaulting Federal Officers. The charges have been filed in federal court in the southern district of New York. See Criminal Complaint detailed below. A $10,000 reward is now being offered for information in a deadly road rage shooting in Cheltenham earlier this month. It happened around 9:30 p.m. October 15th at the intersection of Dewey Road and Front Street. 29-year-old Rithina Torn of Philadelphia was a passenger of one of two vehicles involved in a dispute. When they were both stopped at the intersection, Torn got out of the car and approached the driver's side of the other car. That is when he was shot multiple times. Police have surveillance video of the car. Anyone with information is asked to call Cheltenham Township Police. A suspect was shot by a store clerk during an attempted robbery at a takeout restaurant Thursday night, 10/26, in Philadelphia. It happened at Peter's Chicken Seafood located on the 7300 block of 19th Street in the West Oak Lane section. Police say that the suspect sot at least 4 shots and the clerk fired at least 3 shots. The 37-year-old suspect fled and took himself to Albert Einstein Medical Center. He was shot in the chest and is in critical condition. The incident was caught on the store's surveillance system.